“Raising the retirement age was perceived by many people as legalized robbery,” — said the head of “Levada-Center” Lev Gudkov. In an interview with “BUSINESS Online”, he says, why the current system is insensitive to the discontent of the population and will work even after Vladimir Putin. According to the expert, the main danger for the regime do not represent the masses, and a split in the ruling elite. The Kremlin is preparing for the worst, so squeezes money out of the population. Really the reaction was very sharp. Moreover, social tension began to grow from the end of 2017. The process was suspended elections of the President of Russia, in which were made many different promises, was carried out agitation and so on. As a result, in February-March, the tension began to fall, and immediately after the vote, in April, again went up. On the one hand, this contributed to rising prices, and the announcement of the beginning of pension reform and a rise in VAT to 20 per cent. In particular, raising the retirement age was perceived by many people as legalized robbery, attempted that, in the opinion of the people, should not concern the state. The majority of Russians believe that they have earned for old age, and now authorities are trying to take away these savings. It is clear that the authorities ‘ actions is unfair. The replacement ratio of pension to average salary in Russia is slightly more than 30 percent, while in developed countries, from 45 to 70 percent. But here we are dealing with two philosophies. The government believes that the pension is compensation for incapacity for work, and people are cogs. In turn, the Russians believe the pension your earned money. Therefore, the assassination of blood is perceived as the ultimate injustice. The more that real incomes of the population, whatever may be said of Rosstat, from 2014 to 2018 was reduced by 11-13 percent. Against the background of military-Patriotic rhetoric is perceived as something unacceptable. People wonder why they should pay for the war in Syria, and wait, when the authorities will start negotiations with the West to normalize relations. If you look at how the fall ratings, the biggest losses suffered by the government and personally Prime Minister Dmitry Medvedev, defense Minister Sergei Shoigu and foreign Minister of Russia Sergey Lavrov and the Deputy corps in General – the state Duma. In addition, dropped the rating of trust to Putin. Not against the Russians the greatness of their country, but do not want to have this done at their expense. After all, the meaning of the pension reform is not about raising the retirement age. About half of the just retired Russians going to work the next 5 years. They would have worked longer, but health won’t allow it. So retirement for them is a source of additional income. But this is enough only for very modest standard of living. The average pension in Russia is about 13 thousand rubles, and people wish she was at least 26 thousand. — In the highest degree. This level of survival, the more costs at that age are growing, including having to spend money on medication. All together it causes very strong irritation. We observed a limit to the consolidation of public opinion on the issue of pension reform – act against about 90 percent of the population, reform is only 6-7 percent. — Members of the government and the state Duma? Mainly bureaucracy and irresponsible young people for whom retirement is a far cry about what they don’t. By the way, the youth has the greatest support to the current regime. Most protests are not pensioners, for whom the reform does not change anything, and people at the age of 45-50 years. They are a victim of the bill under consideration. However, public unrest there for several reasons. First, it is unclear will the law or not. As Putin has long kept silent, we decided to ask the Russians: “How should this situation to be President?” The majority answered that he should refuse to sign the document. Thus the question of “what will he do?” most said that he would sign. This is the mass consciousness of impotent frustration and failure to their own actions. The problem is that no socio-political organizations, which could consolidate the protests to issue them and work systematically against pension reform. Repressive policy of the castrates. In particular, parliamentary opposition in Russia is completely sterilized. It is absolutely powerless and obedient. However, imposed consciousness taught helplessness. People believe that they still do not work, no matter how they tried. Moreover, repression affects not only organizations but also individual activists. In the information age enough to prosecute a few hundred people, and in the public consciousness will develop the idea that you could be next if the need arises. It causes people fear. — And protest leaders can’t appear out of nowhere. In the atmosphere of normal party competition, the emergence of political leaders is a natural process. The culture of political struggle and debate is their nursery. We don’t have that, so the political leaders will appear in a moment of unexpected protests, unless of course they happen. In the end, in addition to the above constraints on the mass protests, there are our fragmented consciousness and unwillingness to consolidation even in a time when we are talking about common interests. To me this situation is reminiscent of the Civil war, when the peasants fought to the outskirts of his village, and then let the others fight. People are ready to defend only their private interests. The vast majority of the population understands the justice of the demands, for example, defrauded investors, but they are not willing to participate in their protests. It is the inertia of the Soviet experience: keep your head down, nothing can be done, we must endure and so on. But, let’s say, the people take to the streets – not because of the pensions, on another occasion, which power gives more. The current parliamentary parties and trade unions that are now trying to play the opposition to the pension reform, will be able to occupy a place in mass protest? In the eyes of the population they are so discredited that people absolutely can not believe. Trade unions are considered to be lured by the authorities and aimed to extinguish the protest, not to protect the interests of the people. Party and all look in the eyes of Russians is absolutely corrupt organizations, the whole point of which is to fight for a place near the trough. If we return to the theme of social tension, the one who is most outraged, then this is the theme of regions, and not Moscow and St. Petersburg, where protests are usually the hardest. It is known that in regions of low salaries and deferred pensions will hit people hardest. While there are no public institutions that can protect the interests of victims. — However, there is much talk today of the possibility (or impossibility) of the “return of the 90s”. But in the 1990-ies there were many protests, which greatly outnumbered all the current presentation. What is the reason? Our party system emerged from a split of the old party-Soviet nomenklatura, and not grown from below, from the spontaneous action of various groups, defending their rights and interests. Fragments of different fractions of the item fought for power in the new Russia, but has not been focused on protecting the interests of its population. In the end we got the current political system. Were the demagogues, leftists, populists, people like Viktor Anpilov, but in the elections they received a tiny percentage of the support. They represented marginal strata of society that were very radical attitude, but that’s why people didn’t trust them. — Returning to the pension reform – in your opinion, it should be done? — Yes, but not now, but in 2007 or earlier, when the economy was on the rise when people have confidence in the future and understanding the meaning of reform institutions. Then it would be possible to create independent from the state funds to raise the credibility of financial institutions and to attract people to invest money there. And now there is the opposite situation. Nobody is engaged in serious institutional reforms on the decline, since in such circumstances people perceive it solely as a way of solving problems of self-government at the expense of the entire population and the only way. Of course, raising the retirement age is always and everywhere perceived painfully, but on the other hand, it increases the responsibility of people for their lives. Thus, if the government had embarked on the slow pension reform, it would with difficulty, but passed. Under current conditions, it’s clear that the authorities, being under sanctions and shortages, decided to put his hand into the purse of the Russians. Against this background, the statement that pensioners will receive an additional one thousand rubles, look like an insult. — Why it was impossible to carry out pension reform in 2014 when public confidence in the authorities was at its peak? — And then there was no such serious sanctions. The shortage of money was not felt, and the authorities, realizing the discontent, was ready to postpone pension reform until recently. — You mentioned that officials regularly make statements that are perceived by the Russians as a mockery – they say, no money, but you’d hang on. The ruling elite is completely and hopelessly divorced from the people? — During Putin’s reign was not just a selection, but also a qualitative change in the political class. The ruling elite was formed from a completely servile, cynical, unintelligent and irresponsible people, able to answer only to their superiors. They absolutely do not understand, in what country you live in. 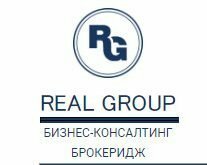 When I tell the officials that the average income for a Russian family is now 38 to 40 thousand rubles, they were surprised to say the money is impossible to live. A huge part of the population of Russia is trying to solve the problem of physical survival. At the same time, the ruling elite are totally corrupt corruption, and not in the sense of bribes, but in the sense of access to cash flows. This moral horizon is perceived by Russians with irritation. Regime exists in some other dimension, than the population. The process of degradation, but it can take a very long time. The system developed and it works. And it will work after Putin, since he is not created it, they created each other. Honestly, I don’t see any forces that could change this situation. In my opinion, we are in the process of very long-term decay of the totalitarian system. In 1991 was one phase, and today another. Some part of the Soviet Union collapsed: the planned economy, the Communist party and so on. But the organization of government, education system, army, FSB and so on remained the same. In the near future with them nothing will happen. — The head POPs up Lenin’s definition of a revolutionary situation: “Tops cannot, and bottoms do not want”. — We deal with the social and moral degradation, which can last a very long time. Under Putin, the current economic system has exhausted its possibilities by 2012 (even if the price of oil over 100 dollars) and cannot develop any more. The population feels. From 2002 to 2007, Russia’s economy was rising and the people feel the future growth. Now, even the most optimistic estimates, our economy is growing at 1 percent a year, and people have lost faith in the future. However, about approaching a revolutionary situation. The whole technology of power designed to prevent opportunities for solidarity of people. On the one hand, this is done using the ever-increasing censorship at all levels of public life, and on the other through the repression against the opposition, the suppression of independent social organizations. All of our research suggests that people do not see who could represent and defend their interests. In particular, according to 85 percent of Russians, the court always protects the interests of the government, bureaucracy and the rich. Where else you can go with their problems? Judicial and law enforcement system really independent of the population. Including they have their own mechanisms of reproduction. For example, judges do not take graduates of the law faculty, but only the secretaries from the office of the judges themselves. The FSB, the interior Ministry and the investigative Committee has its own Academy, educational institutions… in other words, these structures make own frames, which will correspond to the dominant ethics there. Society can not influence this process. — It is logical to assume that ahead of us is not one anti-social reform? — Of course. The whole policy of the current authorities aimed at squeezing money out of people. In this sense, critics of the pension reform quite convincingly say that the deficit in the pension Fund is not large enough to be able to talk about its imminent collapse. Second, it is possible to cut defense spending and send loose money in the social sphere. In the end, the cost of the security forces at 5 times the cost science, health and education combined. All the money is not enough, therefore, if you do not reallocate the expenses, the situation in the social sphere will continue to deteriorate. — So you do not believe in the ability of the Kremlin to negotiate with the West about the cancellation or easing of sanctions? — What has to happen in society, there is this flame of hope around which people could rally? — The flame occurs during operation, at the moment when a person begins to take responsibility. — Protests of 2011-2012, fall into this category? Many analysts have high hopes for those events, and I treated them the dual – expectations and at the same time skeptical. It was a moral protest with elements of carnival. Political life requires daily meticulous organizational work. Then in their heads it was not, and as a result there’s been no organisation which could offer an alternative program of development of the country. But it’s good that people generally have experience of access to the area. Let’s see how the situation will develop. So far, thanks to the repressive policy we have neither organization nor leaders who can represent the interests of the people. But most importantly — there are no ideas that would all this appear. And what ideology the people want to see in future leaders and organizations? The problem is that they did not expect. Most people live according to the “life is hard, but you can tolerate”. Don’t underestimate our propaganda. It uses long-used stereotypes, the meaning of which is that “they are not better than us, they are the same as we are.” So killing hope. The intellectual depth of necrosis is striking. Our society can only exist within the state, hence his helplessness. — That is, if tomorrow the Russian Federation will disappear as a state, the people living on its territory, will turn into a mass of humanity, incapable of self-organization? — Approximately so. And we have seen similar cases, for example, when the collapse of dictatorial regimes in Libya and Iraq. At the same time nothing like this happens in countries where strong civil society. The principle of “keep your head down” discourages people of any responsibility for the events happening around them: in the district, city, country… We always ask the Russians if they can influence the situation in the family, and 90 percent answered positively. But the same person said that he could not influence events in the state, because they have no opportunities to do so. Comes to what people do not know how much tax they pay to the state. The majority is convinced that it is 13, not 65 percent. But still the situation is not hopeless. The impulse to resistance occur constantly, they are most of the current administrative system. The increasing social tension indicates that more and more people begins otherwise to see the unfolding events in that country. However, this is not enough. — Maybe it takes time to people to come? To judge this, you need to find out what ideas the younger generation how it is changing… Everyone is convinced that the new gadgets will surely have an impact on the mentality of the people. However, Ilya Ilf, in his “note-books” wrote: “All thought, here comes the radio and be happy, the radio is there but there is no happiness”. Some opposition members believe that young people who go to rallies Bulk, in the end, will change Russia. Don’t you think? — Followed by the second generation of the protest wave which led to the collapse of the Soviet Union. It is a thin layer. The majority of young people are Pro-Putin configured. Young people happy. As shown by our remarkable researcher Vladimir Gimpelson, if in the developed world peak salaries accounted for close to retirement age, this is 30-35 years. Due to the demographic gap, we have increased demand on young people, which guarantees her the position. Second, in contrast to the end of the last century, in Russia today there is no lack nor completely closed society. The real problem is not in generations and not in their values but in the current institutional system. We have been fix the following paradox: romantic and liberal-minded young people entering adulthood, experiencing moral shock and breaking. They have a period of sobriety and cynicism. They learn new rules and adapt to them. It is only in some students hanging boastful slogan “Let the world will SAG under us!” in fact, our young people early and fast flexes: “… to live with wolves,” etc. For example, our trainees are said to have gone into sociology because it is a profitable occupation and wherever requested by the profession, with a diploma you can always find a job. And how the thirst for scientific knowledge? This is absolutely not the motivation, which itself gave rise to sociology as a science. — Even if the youth does not need where will the independent opposition? Small resistance groups occur continuously. The reason for them becomes, on the one hand, the rigidity of the current system, not capable of development, and with another — violent restoration of Soviet practices. In particular, young people do not like the forced imposition in schools and universities of the state of patriotism and the Orthodox culture, which they perceive as ideological kitsch. But then again we are talking about very small groups, whose future is in question. — That is the future of Russia depends on whether these groups are to expand or, conversely, disappear? Yes. Or they will continue to expand and to defend its interests, or will cave in under the circumstances.